1. Sign up for facebook developers channel. 2. 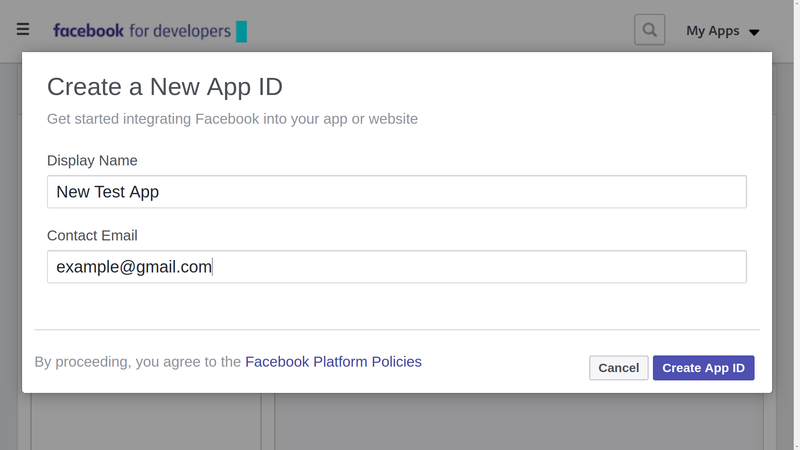 Create a Facebook App or use an existing app if you already have one. 4. 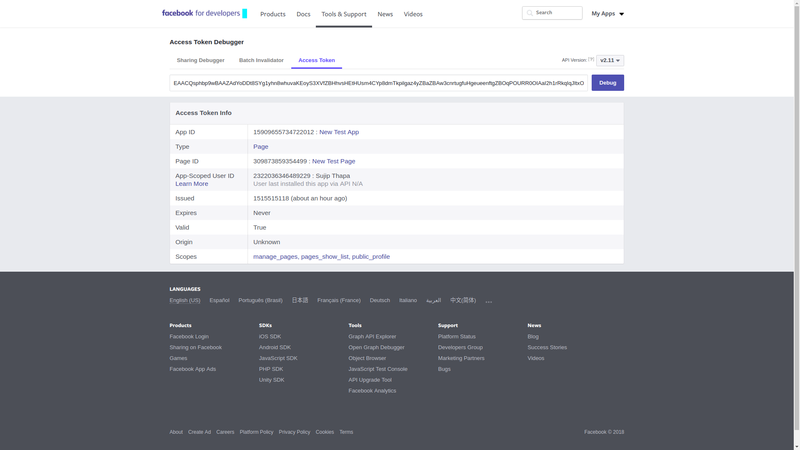 Now, navigate to Facebook Graph API Explorer, to generate short-lived access token. a. Firstly, Select an app from Application drop-down. b. Again, in the next drop-down select “Get user access token”. c. Once you click on “Get user access token in the drop down” you will see a pop-up window like below. There you will be able to select the permission(scopes) for the user access token. 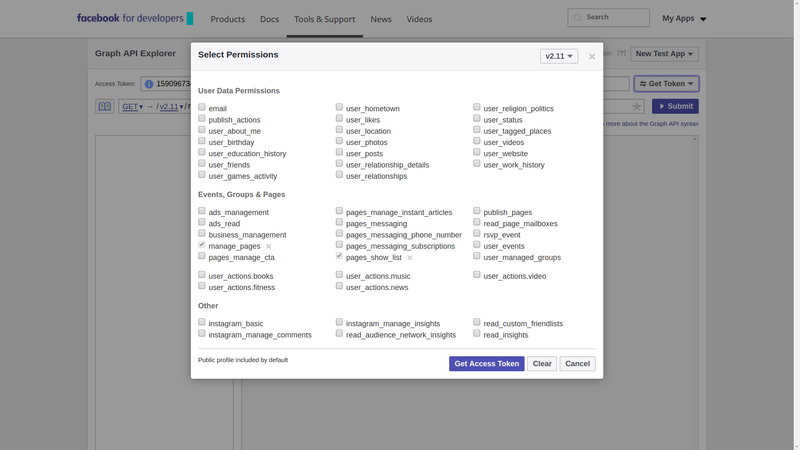 d. Here for my use case I have only selected “publish pages” and “manager pages” permissions which are needed to create never expiring page access token. If would like to understand more about the scopes visit permissions doc. Generate user access token by clicking on “Get Access Token” button, this will create short-lived user access token. 5. Now we will need to create a long-lived user access token. Now, navigate to Access Token Tool this page, you will see short-lived user access token, app access token for all the apps you have under your account. Press debug option at right side for the user access token for the current app we are trying to create a long-lived access token. This will again take you to Access Token Debugger where you will see the full information for the short-lived user access token. Short-lived user access token means that will expire after an hour. So to extend the expiry date, we need to go to the bottom, there is an option to generate long-lived(2 months) user access token. Click on “Extend Access Token” and you will get the long-lived access token. 6. Lastly, creating never expiring Access Token. 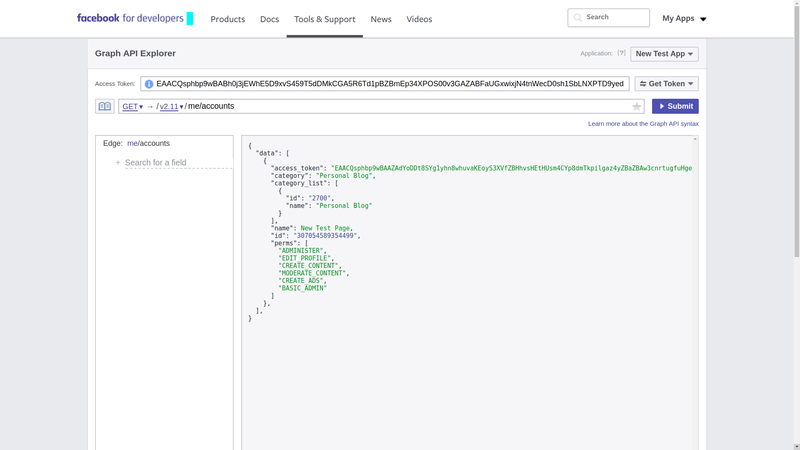 Again, go to Graph API Explorer and paste the recently created long-lived user access token in the Access Token field. 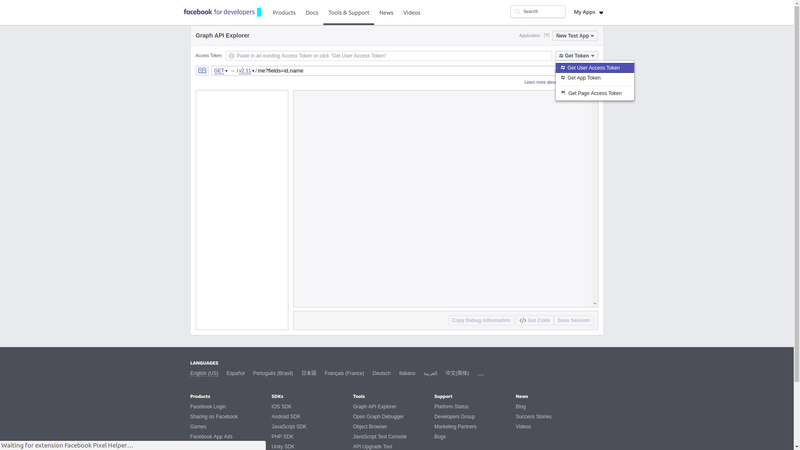 Now, we need to change the API endpoint to access “/me/accounts” and click on “Submit” button. This process will show the result with all pages information including page access token i.e never expiring token. 7. Finally, we are at the verification step to make sure the page access token is never expiring.